HighMark is your source for products to fit your dream and your budget: granite, quartz, marble, and soapstone countertops for the kitchen and bath. With help from HighMark, you’ll achieve a finished custom kitchen, bath or outdoor living project. We invite you to look through our granite slabs and granite, quartz, marble, soapstone remnants. HighMark has many suppliers for Quartz countertops including Cambria and Silestone. Cabinets are one of the bigger budget items in kitchen, bath or outdoor living areas. As the determiner of traffic patterns and organization of the kitchen, significant thought and planning should go into cabinet design. No matter the budget, let us assist you in designing kitchen & bath spaces. Talk to our cabinet designer about the considerations for cabinet structure, layout, usability, storage and finish. 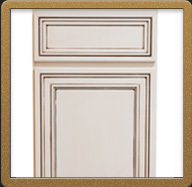 Several Cabinet lines such as Crown, Woodland, Artizen or Prairie Cabinetry & prefab vanities available. Waterstone Kitchen Faucet Suites are made in America. Kitchen Faucet Suites up to 32 finishes. Bridge Faucets; Gantry Faucets; Pull Down Faucets; Kitchen Faucets; Prep Faucets and Bar Faucets. Sinks add style and color, from stone, glass, copper, granite, stainless steel or bamboo. Don't forget to add the final details to your cabinets with quality hardware, drawer pulls and knobs. Add kitchen appliances pulls and Undercounter cabinet protection sold here.